Vivienne Westwood, Alexander McQueen, Field Music & Hello Kitty! 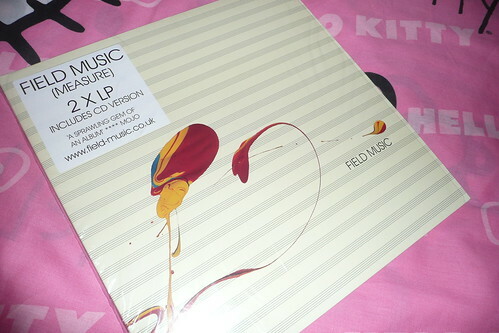 Anyway, I'm off to see Field Music on Sunday night at the Fuzion in Sheffield Uni Union. I have no idea where it is, but hopefully we'll be able to find it. Does anyone happen to know where it is? 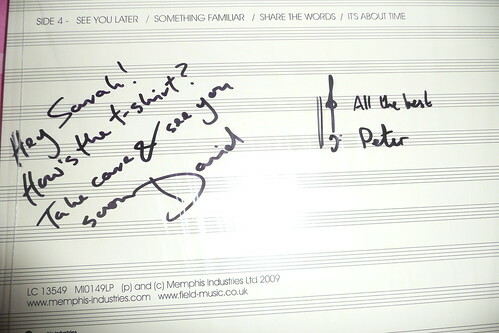 :D I adore David and how he remembers me every single time haha. I received a few things in the post recently. Two Alexander McQueen scarfs and a Vivienne Westwood necklace. 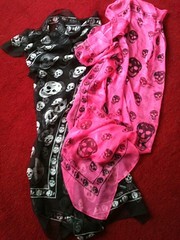 The scarfs are so pretty but because they're silky they always seem to fall off my neck! Damn! The necklace is much bigger than I imagined. It's so beautiful. The crystals glitter so nicely in the light. It's perfect. 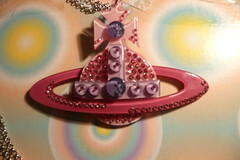 I have a couple more Vivienne Westwood necklaces coming in the post that were bargains from hervia.com. One was £13.50 and one was £25.50. Bargain for Vivienne Westwood genuine necklaces! This adorable little thing will be mine soon too! That's enough for now. I had an idea in my mind of what I wanted to type about, but alas, I've forgotten most of it! If you dont mind me asking where did you get the black Alexander Mcqueen scarf from as i have been looking for one for ages!